Patrick Abercrombie proposed the new towns' scheme as part of his Greater London Development Plan. 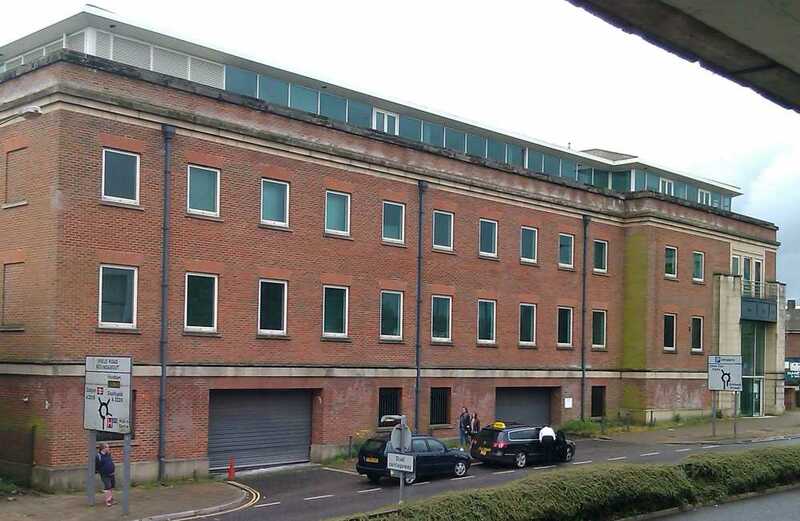 A New Town under the scheme taking in Crawley, Ifield and Three Bridges resulted in a public enquiry, which was held for three days during November 1946 at the Montefiore Institute, Three Bridges. 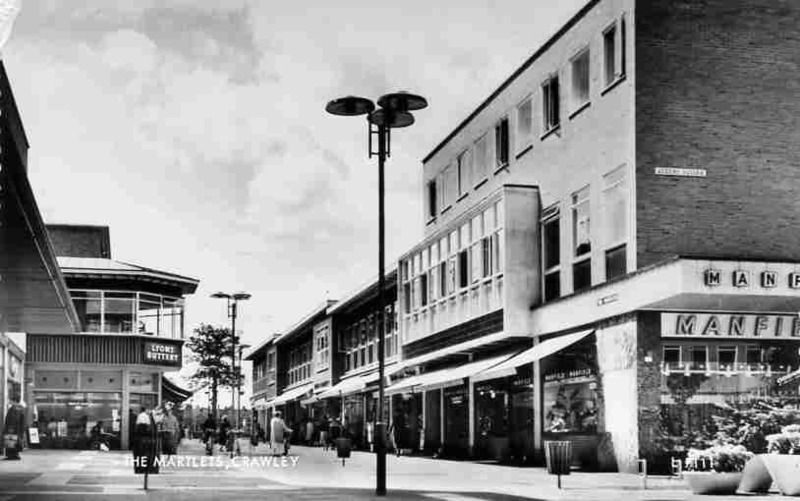 Following the enquiry Lewis Silkin, the Town and Country Planning Minister, designated Crawley as one of eight New Towns on 9th January 1947 under the Crawley New Town (Designation) Order 1947. An outline plan had been drawn up in 1946 by the planning consultant Dr. Thomas Sharp. Dr. Sharp resigned in the summer of 1947 and Anthony Minoprio completed a master plan, which was approved by the Planning Ministry in February 1950. 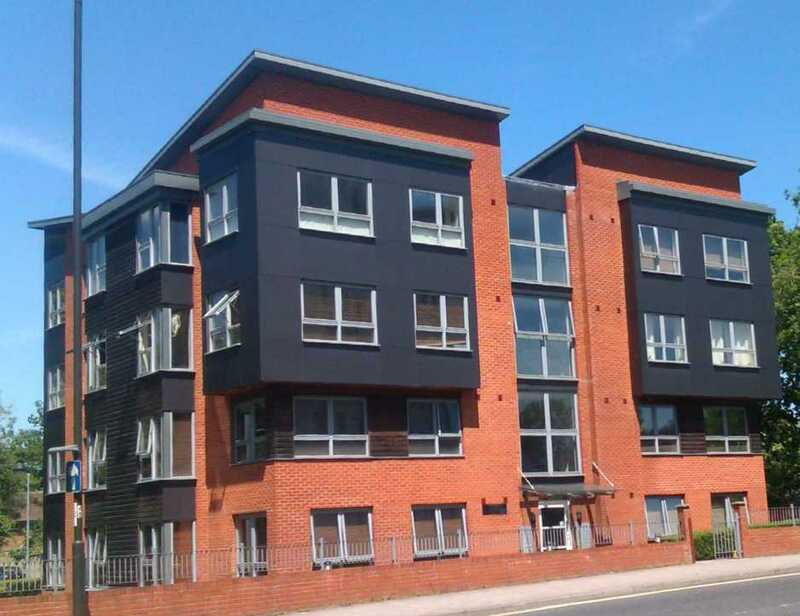 The plan included nine neighbourhoods, West Green, Northgate, Three Bridges, Pound Hill, Ifield, Southgate, Langley Green, Gossops Green and Tilgate plus an industrial estate. Each neighbourhood was to be self-contained with a parade of shops, primary school, church and pub. Open spaces, playing fields and secondary schools were provided for according to the expected population. 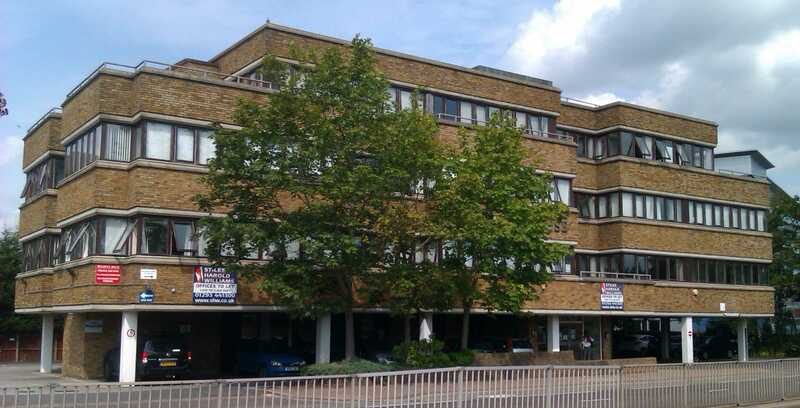 Crawley Development Corporation was created in 1947, chaired by the architect Sir Thomas Bennett, and was loaned funds by central government to carry out the plan, repayable over sixty years. The corporation was dissolved in August 1962 and its assets transferred to the Commission for the New Towns which had been established under the New Towns Act, 1959. 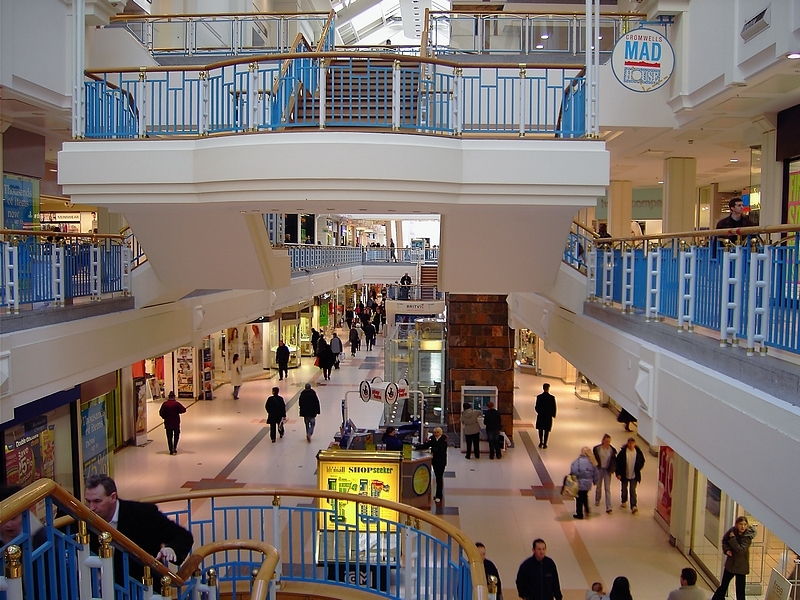 The housing and neighbourhood shopping centres owned by the Commission were transferred to Crawley Borough Council in 1977. The master plan provided for a new town centre and nine neighbourhoods intended for a population of 40,000 with expansion for up to 50,000. The first neighbourhood to be started by the Development Corporation was West Green in 1949, followed by Northgate, Three Bridges, Langley Green, Pound Hill, Ifield, Southgate, Tilgate and Gossops Green. New neighbourhoods were added at Furnace Green began in 1960, Broadfield, began in 1969, Bewbush, began in 1974, and more recently Maidenbower, began in 1988. Planning application was submitted for a new neighbourhood west of Bewbush in Horsham District for 2,500 homes and to be called Kilnwood Vale. The New Town comprised of land in the civil parishs of Crawley, Ifield and Lower Beeding from Horsham Rural District Council in the administrative county of West Sussex; Worth and Slaugham from Cuckfield Rural District Council in the administrative county of East Sussex; and Charlwood from Dorking and Horley Rural District Council in the administrative county of Surrey. 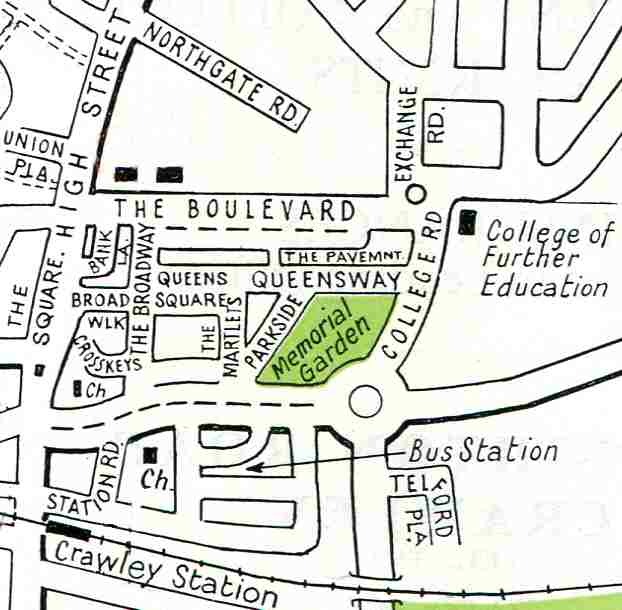 Further areas of Worth and Slaugham were transferred to Crawley Parish in 1953. In 1956 some land was transferred to Lower Beeding and Rusper and at the same time the parish became an urban district council - but excluding the East Sussex and Surrey parts of the new town. 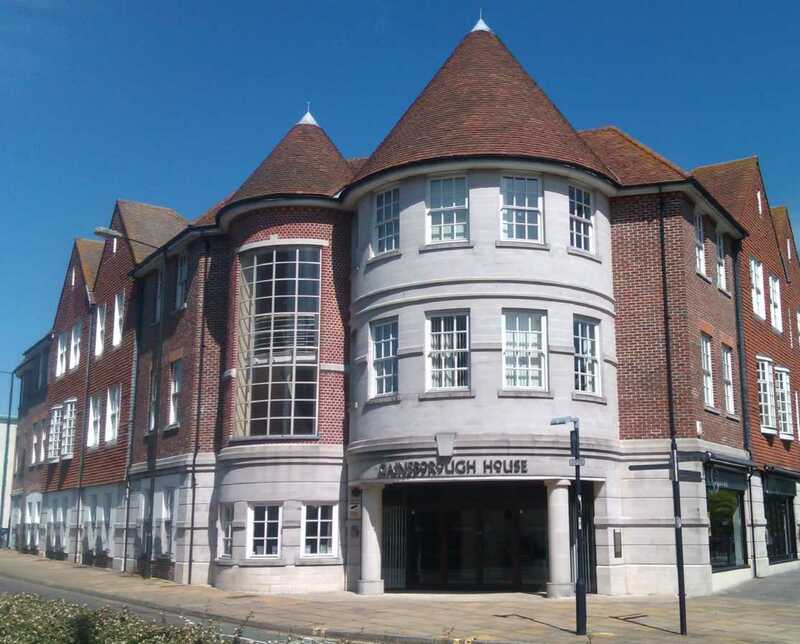 Parts of Worth, Slaugham and Gatwick were included when the urban district became a borough in 1974. Further boundry changes in 1983 added Hyde Drive from Rusper, part of Bewbush from Lower Beeding and Wakehams Green from Worth. 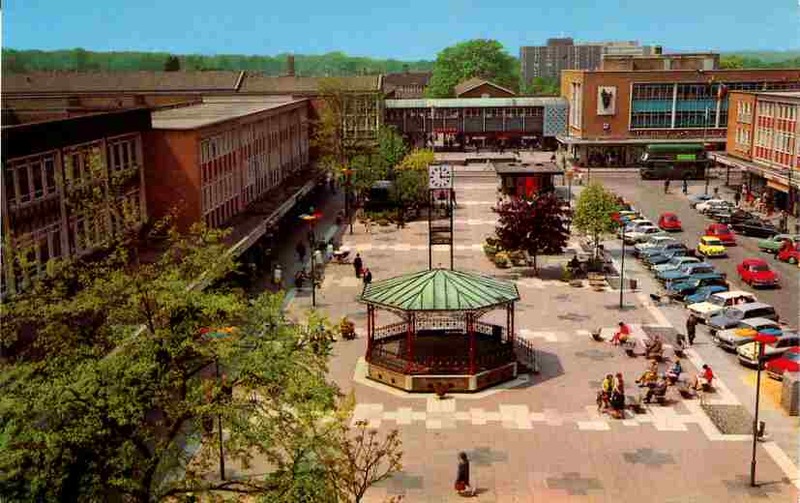 Please note that the lists below are largely based on Crawley Development Corporation annual reports for 1956-1958, Goad plans for 1968, 1972, 1976, 1980, 1986, 1998, 2006 and 2012 and later personal surveys, and consequently are incomplete. 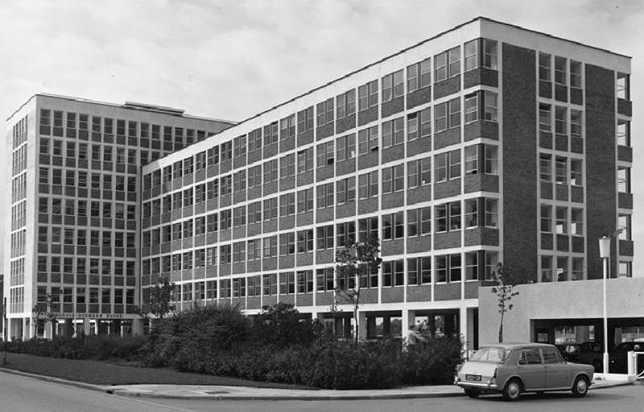 Woodall-Duckham open it's headquarters in 1965. The company changed it's name to Babcock Woodall-Duckham in 1979. 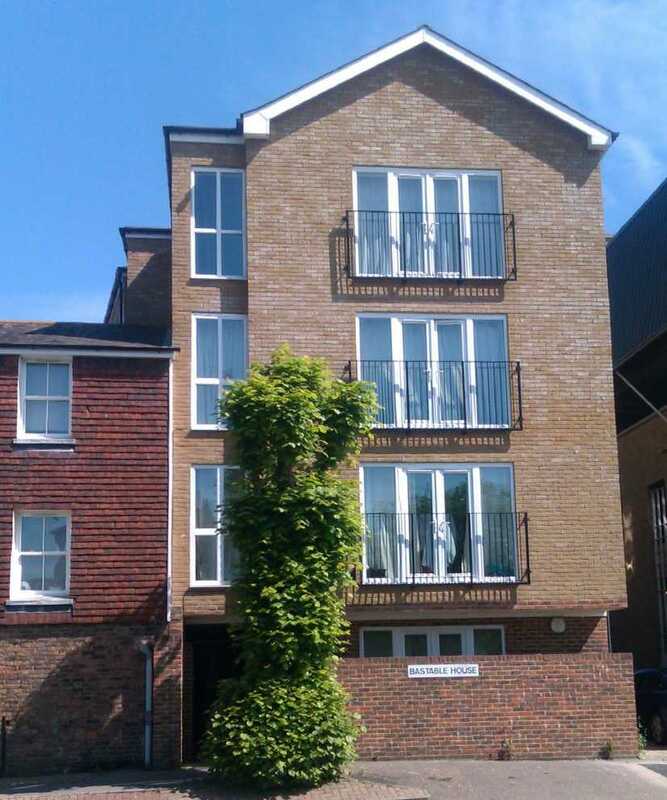 The building was converted to residential flats in 2016 and renamed Platform_. 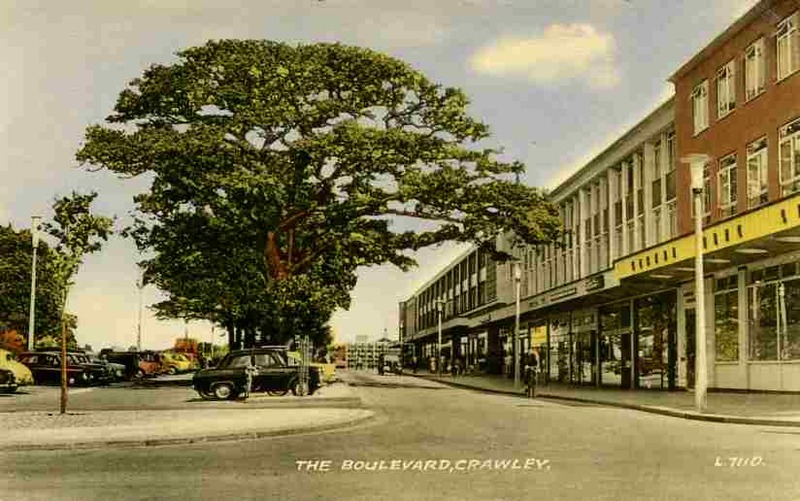 Crawley Development Corporation sold a site in the Boulevard to the council in May 1958 for the town hall, which was officially opened on 14th November 1964 by Michael Stewart MP, the Secretary of State for Education and Science. 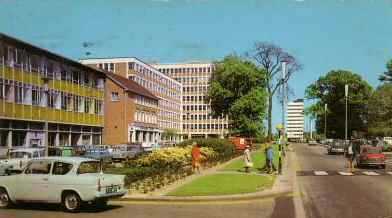 The County Buildings opened in 1963. 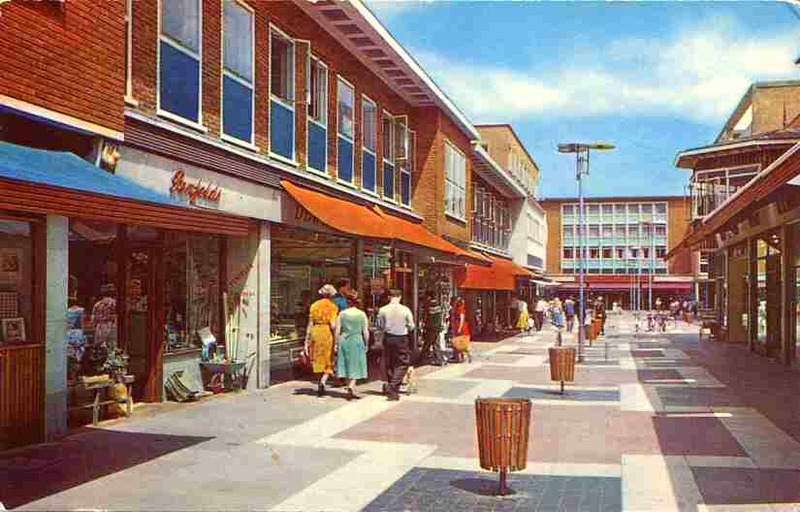 The Broad Walk was the first section of the new town shopping centre to be built. 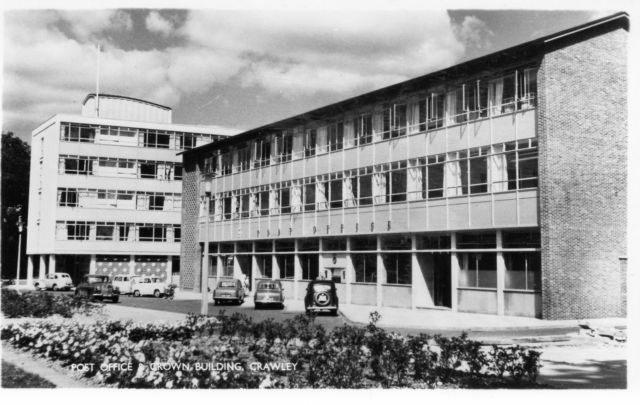 It was officially opened by the Minister of Housing, Duncan Sandys, on 10th December 1954. The Broad Walk provides a pedestrian link between the High Street and Queens Square. The Broadway was built in about 1956; numbers 31-35 were added in 1980. County Mall opened in 1992. Numbers 12-26 were added in 1980. 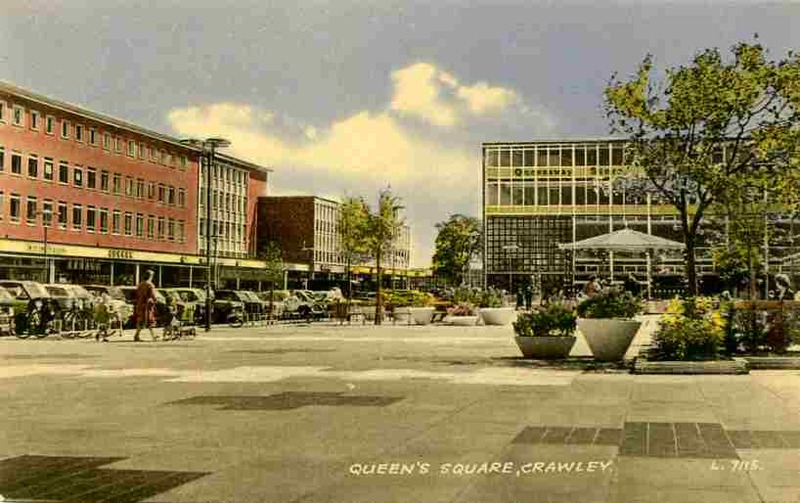 Queens Square was built about 1957 and formally named by the Queen in 1958. 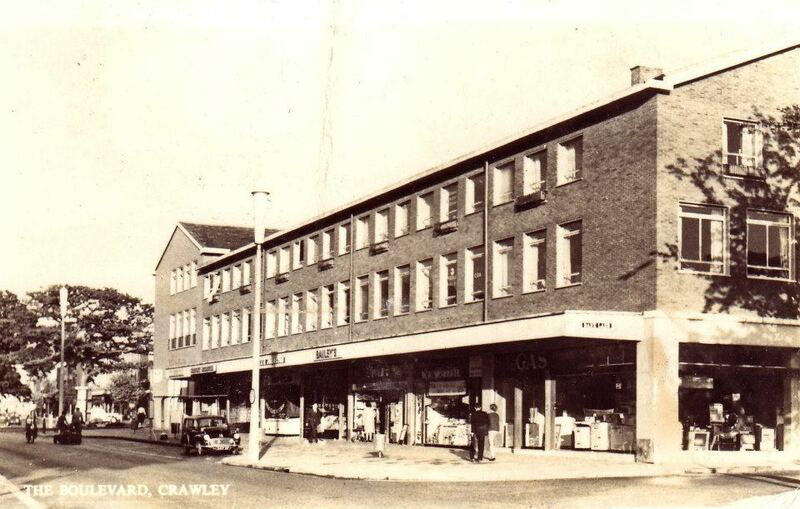 Crawley's first department store, Queensway store, opened on the west side of the square, but was not as successful as hoped and it closed to be replaced by a Tesco supermarket. 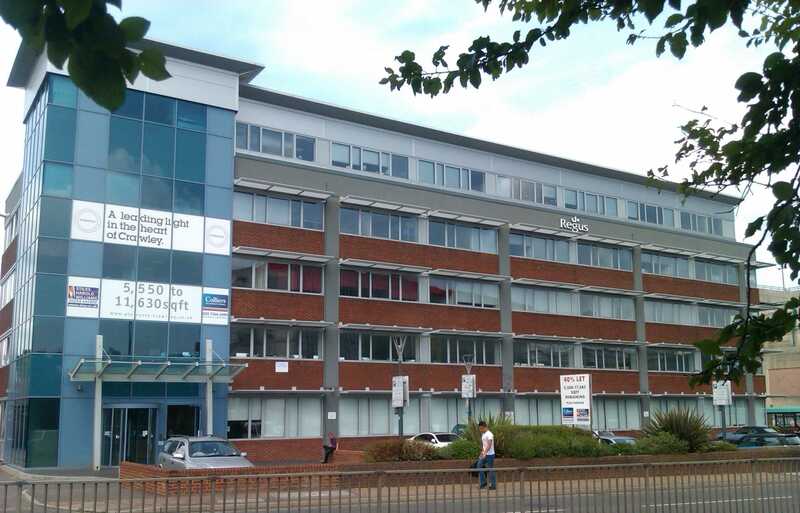 Tesco has since moved to Three Bridges and the building is now made up of shops and offices. One-way traffic was introduced on the road along the north side of the square and was closed to traffic experimentally in 1967 and permanently in 1971. It was paved over in 1975. A clock, with scenes of the London to Brighton Veteran Car run, presented by the Commission for the New Towns was erected in the square in 1967, but was removed in 1973 due to it's unreliability. The Pavilion was built on the west side of the square in 2005. Following redevelopment, at a cost of �3.2 million, Queen's Square was officially re-opened on 7th October 2017. The bandstand is originally from Gatwick Racecourse, but was sold to Crawley Development Corporation for �60 when the racecourse closed in 1948. It was refurbished and re-erected in 1958. The Pavilion was built in 2005. 23-43 Queensway was built in 1968. 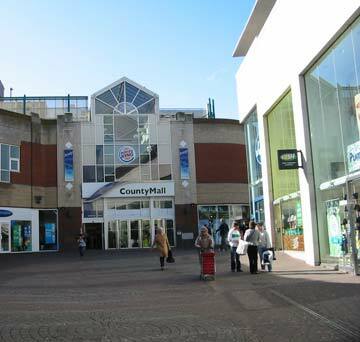 The Martlets linked Queen's Square with Haslett Avenue until County Mall was built at its northern end and opened in 1992. Numbers 5-31 were re-developed in the early 1990's.